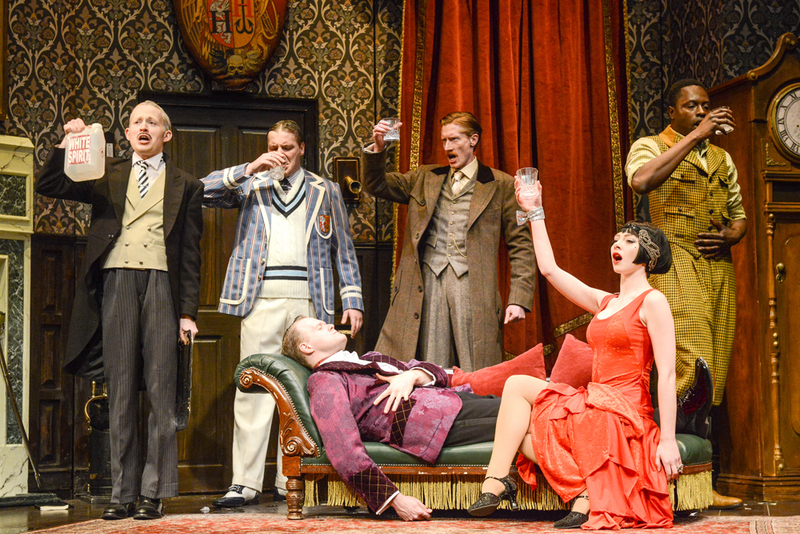 Vivienne Kennedy reviews Mischief Theatre’s The Play That Goes Wrong, at The Bristol Hippodrome until Saturday 21st July. 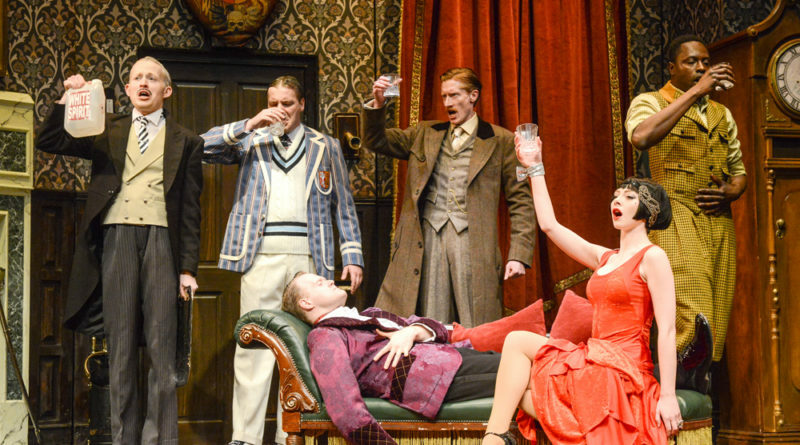 From a relatively humble premiere at the Old Red Lion Theatre Pub in Islington to the West End, Broadway and beyond, this might be The Play That Goes Wrong, but it is so very, very right and last night provided the perfect cure for weariness at the end of a long Monday. I can’t recall a piece of theatre that has made me laugh quite so heartily and by that, I mean proper face-hurting, stomach-aching laughter. We join Cornley Polytechnic Drama Society for their production of The Murder at Haversham Manor. They have high hopes for it, especially as they have enough members to cast it properly and money for a decent set, not like their previous productions, which have included The Lion and the Wardrobe, Cat, and James and the Peach. Oh dear, hope sometimes just isn’t enough. I won’t give too much of the plot away other than to say it’s a 1920s-style murder mystery with some moments easy to anticipate and others totally unexpected. The humour is full-on, very physical, and absolutely relentless. From the moment we arrived in the auditorium to find some cast members wandering through the aisles looking for their lost dog and others on stage making final adjustments to the set, to the final bows, my +1 and I did not stop laughing for a moment. Not even in the interval because we spent those 20 minutes quoting favourite moments from the first act at each other. It must surely take a great deal of skill for professional thespians to act badly, but this lot, graduates of the country’s most prestigious theatre schools including Bristol Old Vic, do it brilliantly. Their comic timing is exquisite. Kudos too to set designer Nigel Hook. He has created a beautiful, multi-level, 1920s manor house interior that falls to bits at each and every performance and thoroughly deserves the awards he has won for his work (a Tony and a Drama Desk Award for the Broadway production). I arrived at The Bristol Hippodrome with high expectations and found them exceeded. I would certainly recommend getting tickets but if you can’t make it this week, Mischief Theatre will be back in February with The Comedy About A Bank Robbery (described as Ocean’s Eleven meets the Marx Brothers) and I suspect it will be equally good.